We have more than 1,400 legal professionals working around the world. Our offices span across 19 cities in Canada, the UK, Continental Europe, Asia and the Middle East. There's strength in our global presence – we embrace our differing cultures and work together as one team. We also understand the importance of investing in relationships that build knowledge and trust, while we provide legal advice that's tailored to our clients' world. 'Our people and distinct culture are what makes us different. We know this through client and employee feedback and this drives everything we do'' Chris Oglethorpe, HR Director. There are great opportunities for all our people to flourish. Through training and personal development they can grow in their role. Our people are the cornerstone of our success, across legal, business support and early talent. We care about their happiness and believe in the power of teamwork. We want them to feel empowered and recognise that by supporting, respecting and embracing everyone's different contributions we achieve more. The L&D team provide practice management and business skills development, including personal and management development programmes. These are available to partners, associates and business services staff internationally. Programmes are designed and delivered based on acknowledged best practice and the latest thinking in management, leadership, business development and personal effectiveness as well as blending knowledge and understanding of the firm’s culture, values and procedures to provide training that is relevant to the work undertaken in the firm. The team also provides open courses, coaching and customised sessions to individuals, teams and groups. A variety of teaching and learning methods including presentations, case studies, role plays and video and forum theatre are used to ensure that peoples’ different learning styles are catered for. We also provide training to the clients of the firm. The purpose of this role is to work in conjunction with Head of L&D, other members of the L&D team and HRBPs to ensure that the firm's strategic objectives, values and business plans are supported through these learning and development initiatives, you will be key to delivering a positive step change in the re-imagination of how learning interventions are delivered within the firm. Has the confidence to deliver skills based bespoke training if required or to facilitate team based activity for internal stakeholders- sometimes in conjunction with external training suppliers, sometimes alone. Willingness to travel within UK and occasionally internationally. 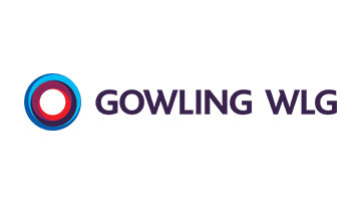 At Gowling WLG we seek to attract and retain talented people from a diverse range of backgrounds and cultures, to create an exciting and rewarding place to work. Our aim is to fulfil everyone's potential and together to achieve personal and business goals.